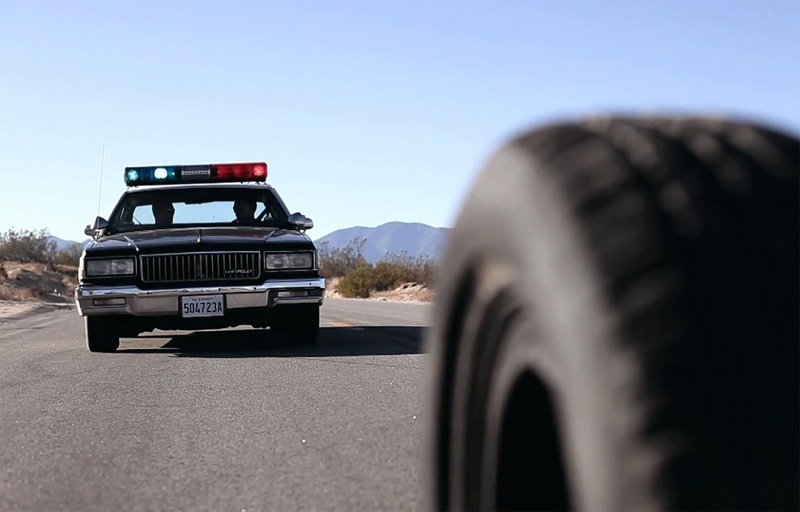 For the sake of this review, I’m using the American spelling of TIRE instead of TYRE. 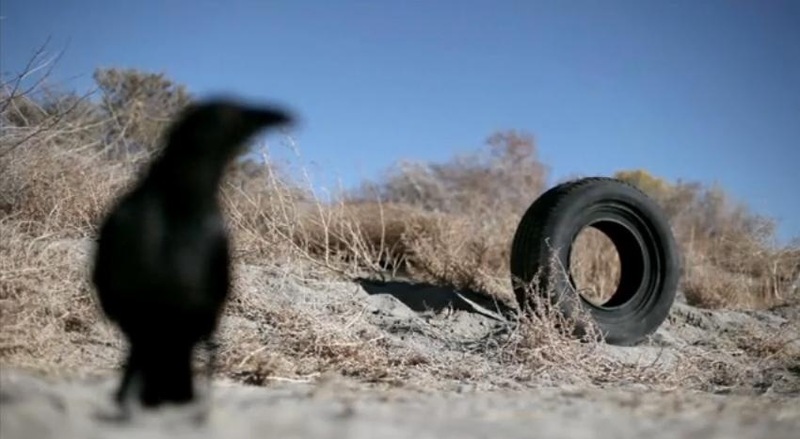 And, yeah – the only thing you need to know about the “plot” is that a tire comes to life and kills people with its psychic powers. Scanners-style. And the film is in English even though it’s French. You’ll like this film or you’ll hate it. Most of you, my fellow movie-blogging buddies, will probably like it. My real-life buddies, who aren’t movie-obsessed geeks and already look at me like I’m mental when I try to discuss anything other than mainstream films, would probably stop talking to me forever if I actually recommended this film to them. Actually, I would be quite happy to have several people in my life stop talking to me so I’m going to recommend Rubber to them now. 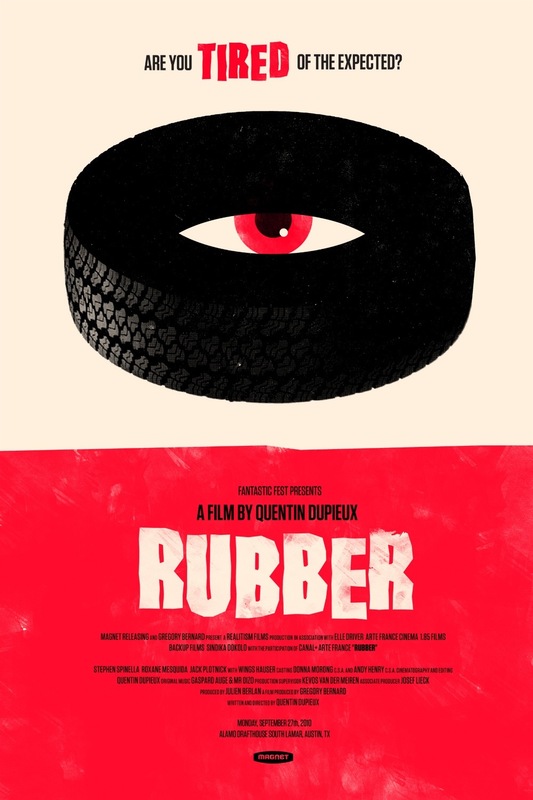 Rubber. 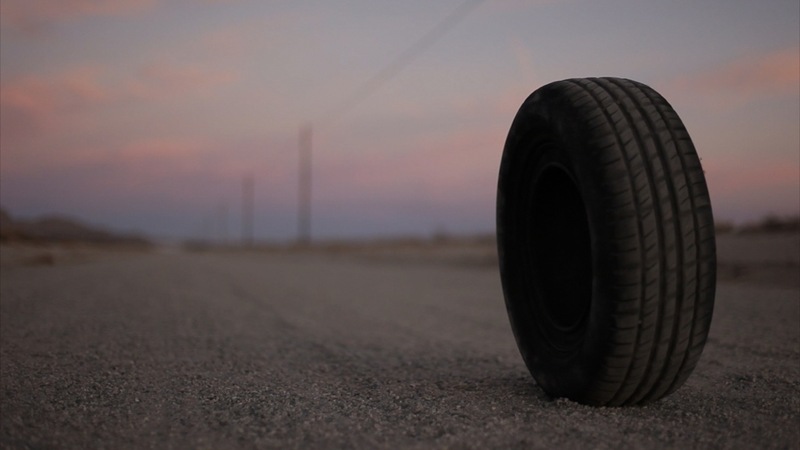 It’s a movie about a killer tire. Here’s my rating and some pictures! This is a fantastic movie!! I love the end!! THWUB THWUB THWUB THUWB KABLOOIE!! This sounds ridiculous. I really want to see it. I don’t know about that… 😉 But thanks! Rubber never takes it’s concept too seriously in my opinion. That’s why you have a guy at the start talk about movie making and the crowd in the field are meant to represent the audience viewing the picture. It belongs on the same list with other creative works like Being John Malkovich. Stories that could have easily become skits on SNL but had something more going on. I think most non movie buffs would maybe appreciate it more if that element was explained but I’m not sure. It’s… Odd. 🙂 Seriously – a hard one to review! But I think you’d appreciate it.